It's almost that time of year to send warm wishes and seasons greetings! Be prepared by browsing our growing collection of Corporate Holiday Cards. 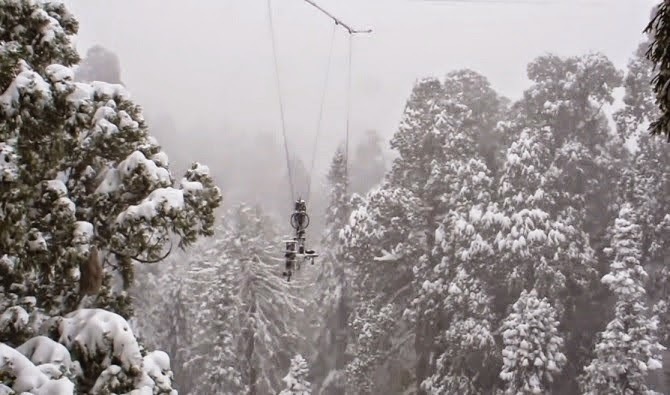 The 2014 holiday season is quickly approaching and we have you covered. Come see what we have in store for you and you clients. Keep the tradition alive and send corporate holiday cards to your business associates and clientele. They will surely appreciate it and your sentiments will not be soon forgotten, because these are unique cards that will last long after the holidays. Invite your staff and colleagues to plant the invitations in the spring and they will grow into beautiful wildflowers or garden herbs. 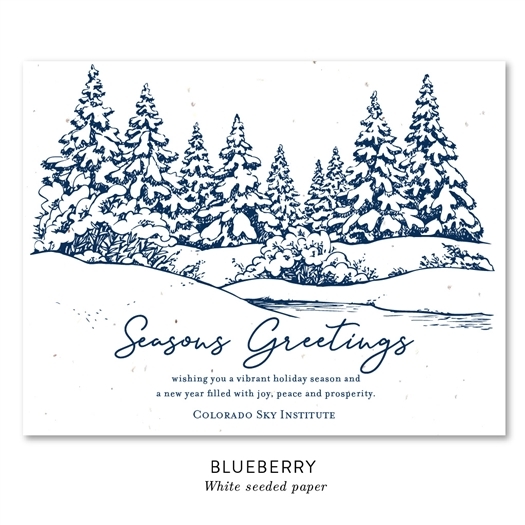 We offer unique holiday cards that are embedded with seeds, making them plantable and memorable. Such an extraordinary idea! Green Business Print allows you to customize your greeting cards with your choice of colors and the ability to enter your very own text. To top that off you can even add your business logo! It's as simple emailing it to our design team. They will get started on your project, making sure the layout and font size are perfect for your needs, giving you a quick turnaround with a digital proof. This makes our collection of corporate holiday cards perfect for any business, whether it is a bakery, financial institution, or a home business. We offer a wide array of designs focusing on winter themes that include snowflakes, festive fonts, and beautiful snow covered trees. Every card has a sample of holiday text that you may want to duplicate to provide a perfect greeting. Peace, joy and happiness are common words to convey your holiday message. Strengthen your business relationships and let your associates and customers know they are in your thoughts and you wish them the best. As we continue to unveil new designs for the upcoming season, you'll have so much to choose from. Check back frequently for more additions! When you choose to use chalkboard wedding stationery from ForeverFiances, you'll be getting a 100% post consumer waste, recycled product. That's the purest and most environmentally friendly paper product that you'll find anywhere and you can use it for your beautiful wedding invitations. So if you're looking to add style and elegance, and save a few trees, then this is exactly what you want for your wedding. When you think of chalkboard, you may think of a simple blackboard but that's not all we have to offer! Our chalkboard wedding stationery also comes in a beautiful purple chalk paper, as well as a stylish brown chalkboard. The brown chalkboard resembles antique leather, creating a vintage feel. Chalkboard Invitations are the next big thing! 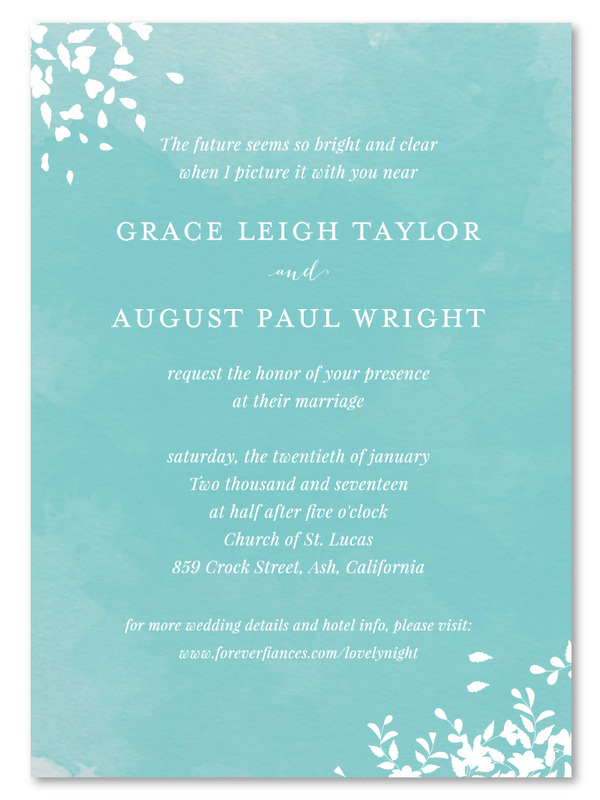 You'll be amazed at how gorgeous these invitations are and how much style they add to your wedding. And you'll be even more amazed when you find out that they are completely, 100% recycled. That means that not one new tree will be cut down in order to make these gorgeous invitations for your wedding. Instead, you'll get a great look and you'll be helping the environment by supporting recycling as well. And you can do that with all the paper products you need for your wedding because matching programs, reply cards, save the dates, place cards and thank you's are also available. You can personalize these invitations with anything you want to say. So all of your friends and family will be able to see your personality shine through. 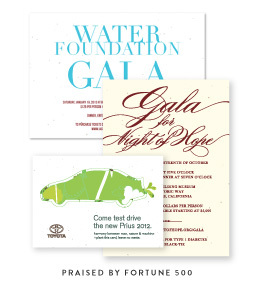 These invites are fully customizable and allow you to have the ability to use your own words. 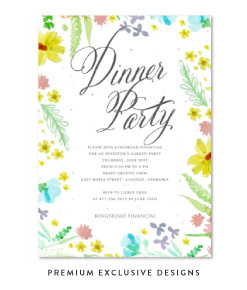 Anything you choose to say will also be written in a beautiful chalk style as well, that matches the look of the invitations and adds to their eclectic elegance. And every other paper product you choose to match will be exactly the same. You'll have the same gorgeous chalkboard style across everything you need to make sure everyone remembers your wedding day and your materials will look just like they belong together. Building your perfect wedding suite has never been so easy! Ground breaking environmental photography has been released. It is truly breathtaking. 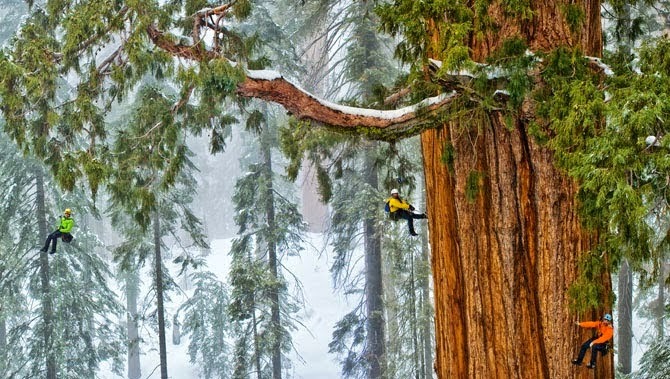 A giant sequoia that lives in the Sierra Nevada Mountains in California has been making headlines. It has been estimated to be alive for over 3,200 years. Over 3 millenniums in the making! At ForeverFiances, we love citrus! We love any kind of citrus. In our grove, we grow all kinds of citrus trees, including lemons (Meyer, Pink Lemonade, Improved Meyer), limes (Mexican lime, Sweet lime, oranges (Valencia), grapefruit (Ruby red). But also our sweet delicious kumquat giving zang to our staff. We almost forgot the mandarins and tangerines trees. 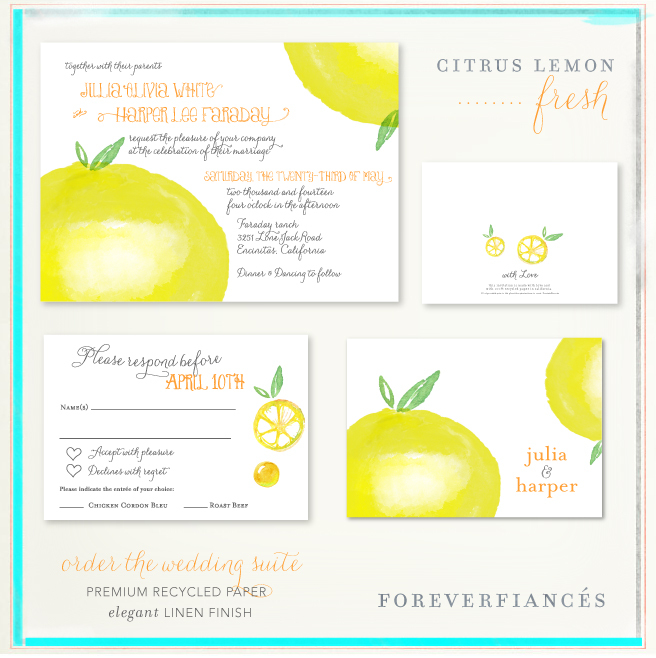 When it comes time to your wedding invitations, the citrus lemon theme collection will be a perfect match. Fresh, juicy and bright.